Let’s face it. Prospecting isn’t fun. 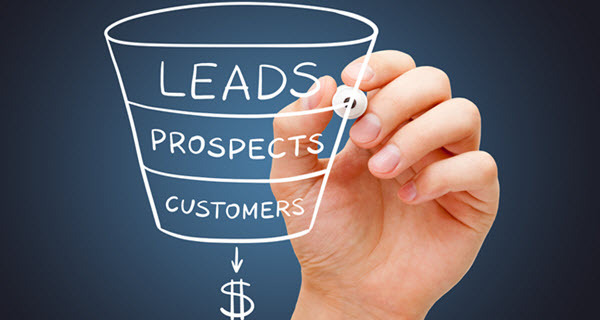 More than 40 percent of sales professional list prospecting as the most challenging aspect of their job. However, understanding how important this first step is to closing sales is essential to hitting quotas. And looking at statistics may help salespeople decide what they’re doing right and what can be improved. According to a 2015 HubSpot survey, salespeople struggled the most with prospecting‑42 percent of respondents‑while 36 percent struggled with closing and 22 percent in qualifying prospects. Although prospecting is the most challenging, it’s also the most rewarding. When a company has less than 50 new sales opportunities a month, 72 percent didn’t meet revenue goals, according to HubSpot. With 51 to 100 new leads, 15 percent failed to meet revenue, and with 101 to 200 prospective sales, only 4 percent did not meet the goal. Carve out time to prospect every day. In studies where sales professionals didn’t prospect in the first two months of a quarter, then crammed all their prospecting calls into the last month, success rates are lower. According to TOPO Blog, it takes salespeople an average 18 calls to connect with a decision maker, and only 24 percent of sales emails are ever opened. Other studies show most people delete 48 percent of emails in five minutes, without looking at the messages. Seven in 10 buyers watched a sales video. Think about sending customized videos to prospects. According to Mashable, the most effective email words for a subject line are: demo, apply, connect, cancellation, conference, opportunity and payments. In comparison, the worst words to use in the subject line are: social, press, invite, confirm, assistance and speaker. A Gong survey revealed that prospecting calls went better when the caller asked questions throughout the conversation (target is 15-18) with a prospect. Collaborative words help, such as: us, our, we and together, not I, me, you or your. Words that make closing less likely are: discount, free trial, contract and repeating your company name. Social media fills 65 percent of pipelines for sales professionals surveyed, while 45 percent use other methods. According to a LinkedIn blog, social media tools can increase closings by 5 percent and increase deal size by 35 percent. According to buyers, the following creates a positive sales experience: listening, 69 percent; providing information tailored and relevant to the prospect, 61 percent; responding quickly to questions and concerns, 51 percent; and not being pushy, 61 percent. This entry was posted	on Wednesday, January 30th, 2019 at 3:33 PM	and is filed under Agent, Blog. You can follow any responses to this entry through the RSS 2.0 feed. You can leave a response, or trackback from your own site.